Artist studios and shops under the bridge. Offered the 'spirits' in my live work-studio a bit of green and an amethyst as an offering. Also placed salt at the entrance…yes, I'm a bit of a witch. I'm taking part in an artist in-residence program called the Koganecho Art Bazaar curated by Makiko Hara in Koganecho, Yokohama, Japan. Since 2008, The Koganecho Art Bazaar has been held yearly in the area between Hinodecho Station and Koganecho Station with artist studios, projects and community events happening under the railway-bridge. 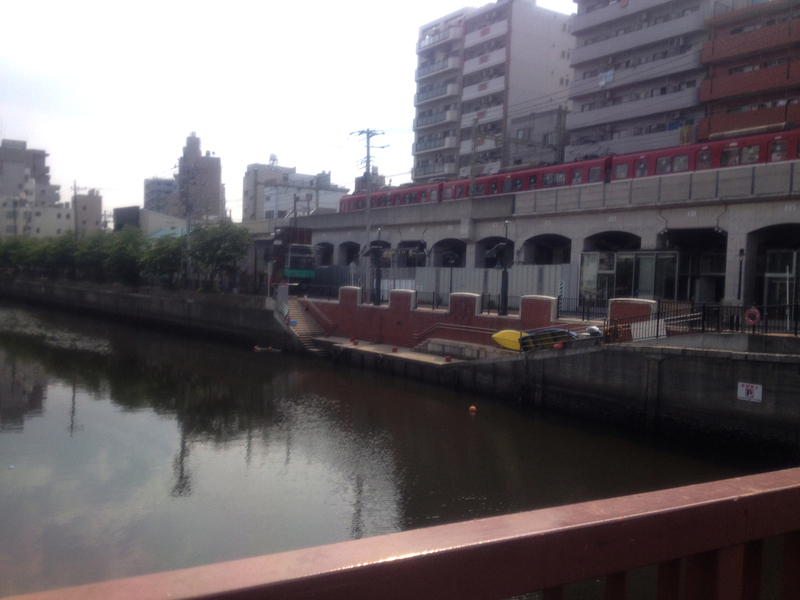 The Koganecho Area Management Centre has been working with a range of cultural practitioners to revitalize the Yokohama City Naka Ward Koganecho area which was formally known as a red light district. This past week I have found that I have been acclimatizing to the neighbourhood and 'sensing' the presence of a site with several historical layers. I'm thinking of Mary Louise Pratt's term the 'contact zone' where "social spaces where cultures meet, clash and grapple with each other…" from her book Imperial Eyes: Travel Writing and Transculturation. Being in Japan gives feelings of nostalgia for me; and several times I have had moments of deja-vu. What is invisible to me in Canada becomes awakened when I'm in Japan. Mostly it's the nuanced details from my childhood and everyday life which has been tirelessly reproduced by both my parents and their connections to this country. What did they sacrifice to cross the ocean? And what have they tried to remember and recreate in a completely different geographical and cultural context? My time here will be spent bringing together what I might call the first phases of the sister work to Mörkö (2012), an interdisciplinary performance that wove conversations with 30 Vancouver residents around 'monsters' as a soundtrack to the performance, a solo construction of an intricate city using only castaway and forgotten objects found in my childhood home in Vancouver. At the heart of this piece is also a simple conversation with my mother on what we will keep and what we will let go. In a few weeks I'm using the interface of a 'fortune shop' to gather 30 monster stories in Kogaencho. (more details to come!) I will also begin conversations with family members around the childhood house in Yokohama and having a closer look for the 'invisible.' In the end there will be an installation and a new performative work. Wish me luck!